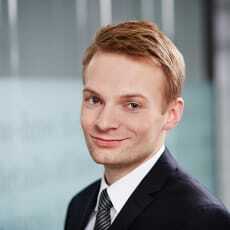 Michał Sałajczyk is an associate in the intellectual property and data protection team at Bird & Bird's Warsaw office. Michał is an attorney-at-law (adwokat). He specialises in intellectual property, media and entertainment, advertising, sports and gambling law. He also advises on on various IP aspects, in particular in relation to software licensing contracts and on matters concerning e-commerce and unfair competition. Michał's clients include individuals and businesses from the creative industries, such as such as advertising, interactive and media agencies and film production companies. He also has extensive experience in providing comprehensive legal services regarding film and TV production. His practice includes preparing contracts concerning rights to intangible goods and the entertainment sector, as well as preparing terms and conditions for e-commerce services, regulations for contests and promotions, and advising on aspects of their organisation. Michał's experience includes advice on athletes’ image rights as well as drafting and negotiating sports sponsorship agreements, including the agreement between a leading Polish football club and its main sponsor – a sports betting company. He completed postgraduate studies in new technology law at the Institute of Law Studies of the Polish Academy of Sciences.